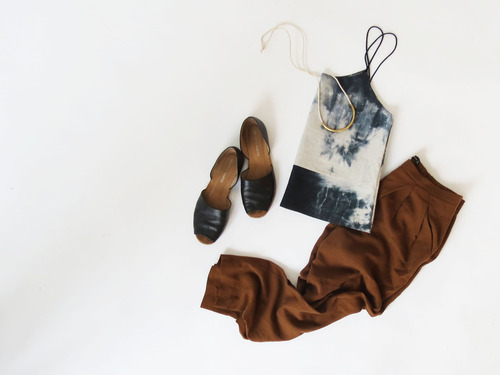 We were fortunate enough to collaborate with the lovely and talented Annabella Sardelis, founder and designer behind Indigo & Snow, who hand-dyed the beautiful material seen in our newest collection through a process known as shibori. The pieces Indigo & Snow custom dyed for the HDH June Collection were dyed with a black water-based textile dye, made with salvaged Cedar. Annabella has found that Cedar, when reacting with water based dye baths, creates evocative, organic one-of-a-kind designs. Most of Annabella’s pieces are hand-dyed in beautiful tones of deep blues, grays, and blacks, which is a fun and stunning spin on HDH’s traditional collections. "Imagine the depth of blue in a blueberry or a turbulent sea.” Between the rich colors and natural patterns, we couldn’t be happier with the results of our shibori-dyed pieces. Shomu Dress: While the Shomu Dress has a simple shape, it is rich in beautiful tones of blue. We love the flattering scoop neck. We paired the Shomu Dress with Sven clogs, a necklace from Parc Boutique, and topped it with a summer straw hat. Hanzei Tank: The perfect tank for a hot summer day. We paired the Hanzei Tank with a pair of flowy copper pants from Zara, a Parc Boutique necklace, and navy Franco Sarto flats. 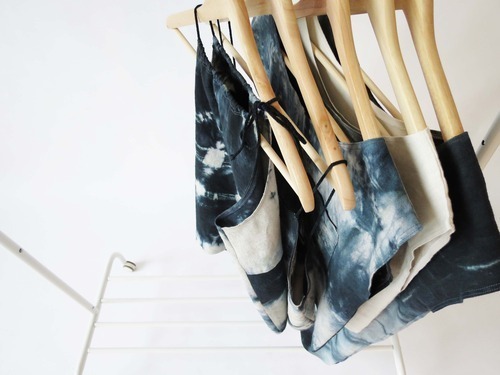 Junna Tank: The Junna Tank samples the many blue tones and diverse patterns resulted from the unique shibori-dye process. The black rope drawstring is a delicate, but stunning detail, ideal to wear in the summer. We paired it with a Parc Boutique necklace and skinny jeans. 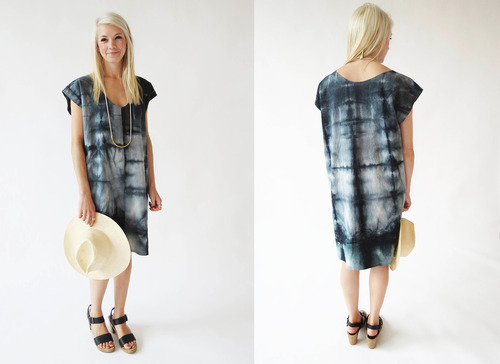 Rita Top: The shibori dyed pocket is such a fun detail on the Rita Top! 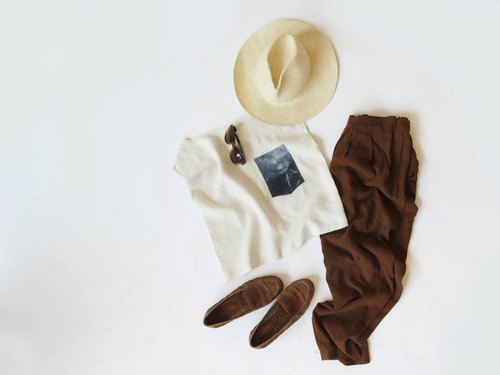 To complement the beautiful blue in the top, we paired it with a copper pair of Zara pants, Sesto Meucci woven loafers, sunglasses, and a summer straw hat. Anko Top: Nothing puts a smile on our faces than a gorgeous and comfortable top that you can wear with your favorite pair of skinny jeans! 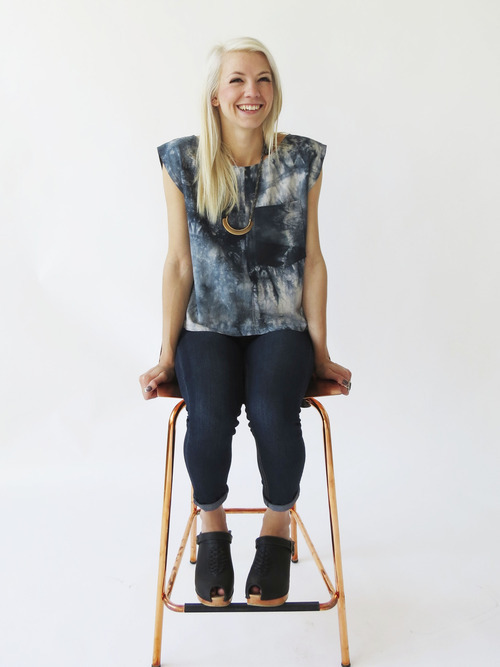 We paired the Anko Top with our HDH x Tiro Tiro necklace, black Sven clogs, and well, a great pair of skinny jeans! 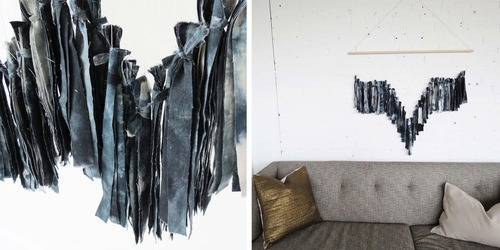 Tasseltry: We can’t bear seeing the beautiful shibori-dyed fabric scraps being thrown away. These fun tasseltry pieces are perfect for that empty wall of yours and come in all shapes and sizes–each one different in its unique way.